Two new 2016 Volkswagon Passet commercials seem to encourage owners to leave their kids in running a cars while the driver does some shopping. Since when is it OK to leave your kids in the car when you do some quick shopping? In this VW Passet commercial a father leaves his two sons in the backseat of his seemingly running Passet while he does some shopping. The boys use the Passet’s Internet connection to text “mom” from dad’s cell phone asking for a new cell phone and bike for the boys. One of the boys seems to be in his teens, while the other is about 9 or 10. They are both in the backseat. Check it out. Since the kids are a sleep, I was lead to believe as a viewer that he planned to leave his kids a sleep in the back seat while getting some milk. What do you think? 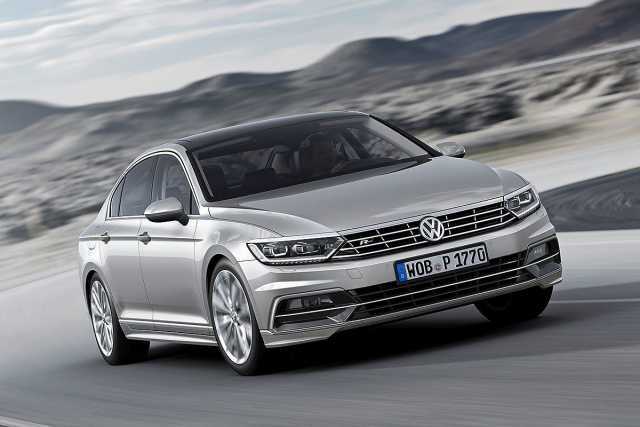 Since VW’s struggling to regain consumer’s confidance, I would think they would stay away from anything so controversial. I don’t think that the commercials are extremely terrible, but I could see how some people may find these commercials disturbing. I would never leave my kids in a car alone and for the record, Men and Machines doesn’t condone leaving your lease kids in a car either. Keep your kids safe! 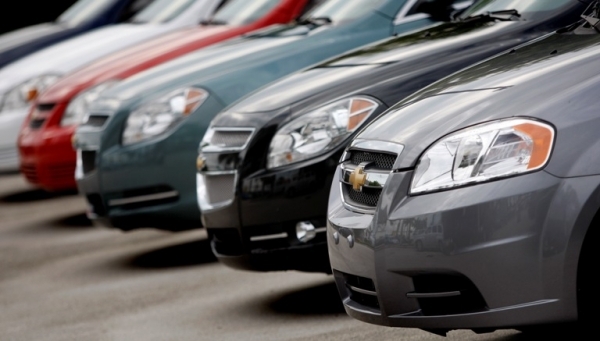 GM is opening up a inventory from its auction inventory to the genera public. These cars and trucks come from GM company cars, former rentals, and lease turn-ins. Brands included in these sales are Chevrolet, Buick, GMC, and Cadillac. When GM opens its new website, FactoryPreOwnedCollection.com, anyone can view the 30,000+ used GM vehicles nationwide. The GM Factory Pre-Owned Collection allows you to search certified pre-owned cars and lets your participating dealer act as an intermediary by having the car shipped from one of 45 different auction locations. You can have the car or truck of your choice shipped to your local dealer without obligation to purchase it. The final price is negotiable, as are the shipping fees. The cars you’ll find will be newer than most CPO inventory and have fewer miles. The GM Factory Pre-Owned Collection will offer vehicles with less that 37,000 miles, versus normal CPO inventory that can have up to 75,000 miles on them. GM’s standard CPO program applies: a one-year/12,000 mile extended warranty (two-year or 20,000 miles on a Cadillac), two-year/24,000 mile schedule maintenance which includes oil changes, tire rotations, inspections. It also includes 3 months of OnStar and SiriusXM, road side assistance and a loaner car during the extended warranty period. If you don’t like the car, turn it back in within 3 days and pick out another one. I like this plan. It gives us regular people a chance to buy the cleanest, low mileage GM cars and trucks without paying a premium. We’ll have to see what buyers have to say about the pricing and process once the program begins in February. Expect a follow up after we hear back from some real buyers. Calling all car nuts! I need your help with being a guest writer. I’ve owned several car related discussion forums since 1997, but I’ve never operated a site with just news and one-side opinion pieces. Well, that’s changing. I’m launching a series of sites dedicated to different auto brands and collector news/opinions; starting with this site, MenAndMachines.com. This site will be different than other blogs because I’m inviting cut nuts like you to post articles that may not always go with the current trends. What’s Not To Like About The 2017 Fiat 124 Spider? What’s not to like about the 2017 Fiat 124 Spider? 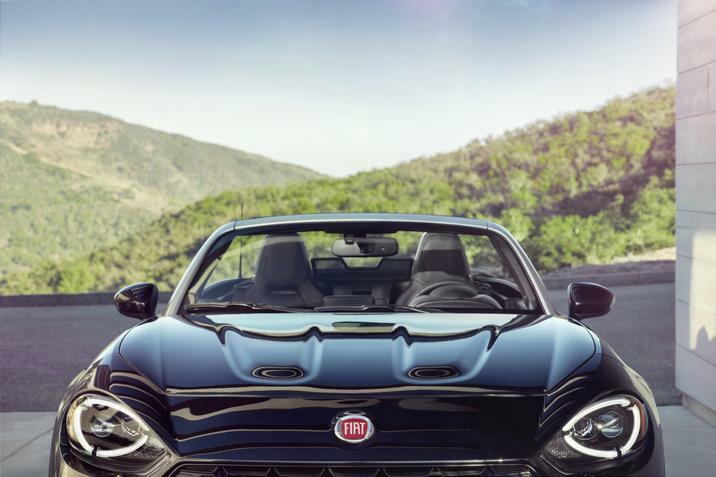 This next summer Fiat will be rolling out a roadster that recalls a simpler time when Italian cars were quirky and British roadsters were fun to drive. 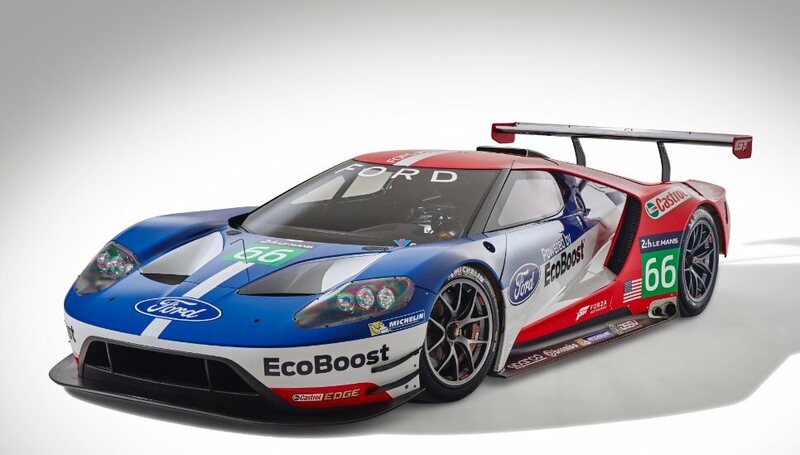 Ford returning to Le Mans in 2016 with all-new Ford GT, marking the 50th anniversary of the original Ford GT40’s victory at Le Mans in 1966. If you’re like me, I’m looking forward to this years race at Le Mans when the all new Ford GT will run in the historic 24 Hours of Le Mans. The original Ford GT40’s in the 1960’s were so dominate that Ferrari withdrew from Le Mans competition as a company. 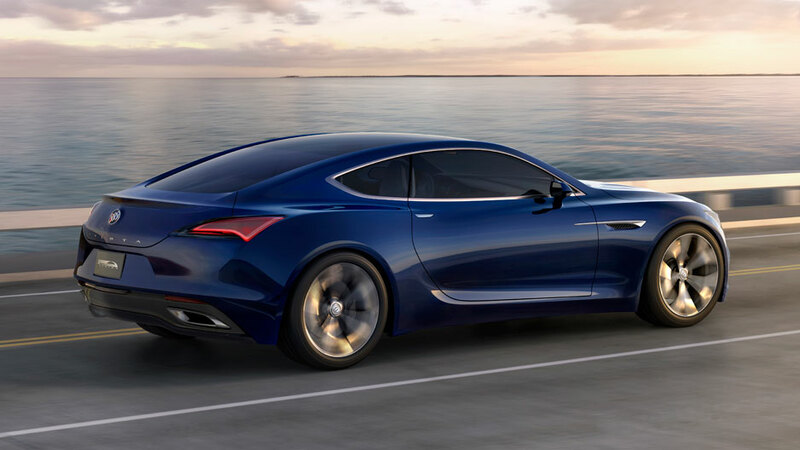 Buick displayed the Buick Avista: Sport Coupe Concept at the 2016 Detroit Auto Show. And I think they won the show. The Buick Avista has a 3.0L Twin Turbo V6 powering the rear wheels. The coupe is a true 2+2; meant for a couple, not a family. By the looks of the concept, it would seem that the 2016 Chevorlet Camaro Alpha platform would be the perfect fit. If the 3.0L Twin Turbo V6 is the same as the next generation Cadillac, the peak output would be an estimated 400 horsepower (298 kW) and 400 lb-ft of torque (543 Nm), making it one of the most power-dense V-6 DOHC engines in the world, developing 133 horsepower (99 kW) per liter. GM may detune the Buick a little, but why? If you’re like me, you missed out on some of the better sports car investments the past 2 years. I would like to offer 2 1990’s sports cars set to rise in the near future. 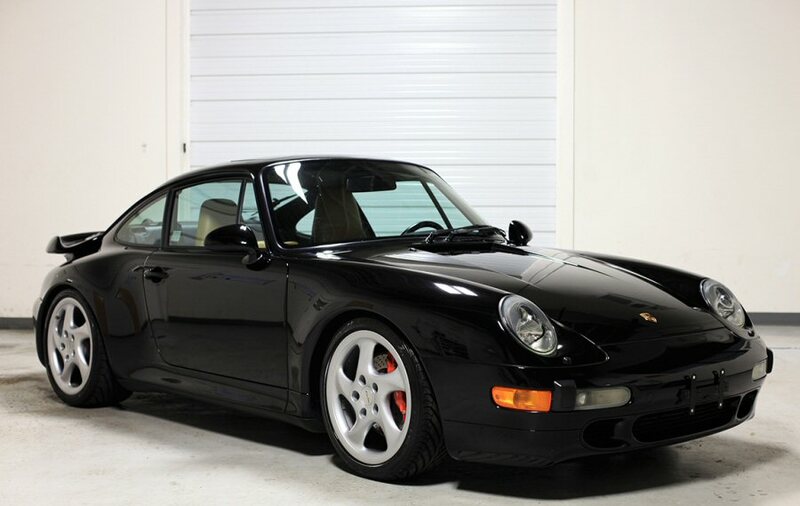 There is still time to capitalize on a few unvalued sports cars from the 90’s. Who knew a Lamborghini Countach would go from $100,000 a couple of years ago to being a $400,000-$500,000 in 2015? Even though I did look for a clean one a few years ago, I missed out on the Porsche 911 (993) Twin Turbo’s from the mid ninety’s too. Again, who knew an air-cooled 993 Turbo would go from being a $50,000-$70,000 in 2013 to commanding as much as $200,000 in 2015? Since when does a $30,000 Acura NSX become worth $70,000-$100,000 almost overnight? The above names sports/exotic cars are great cars, but none of them should have increased 100%-400% almost over night. But there is stupid money available in the car collector world and stupid money always finds a home. There are many more cars that increased dramatically that I missed, but let me see if I can find 2 cars that might rise in the near future.